Makeup artist Amy Wright uses Tom Ford Beauty and MAC Cosmetics to fashion bold looks on model Regitze‘s strong features. Exclusively photographed by Giorgio Murru for Schön! 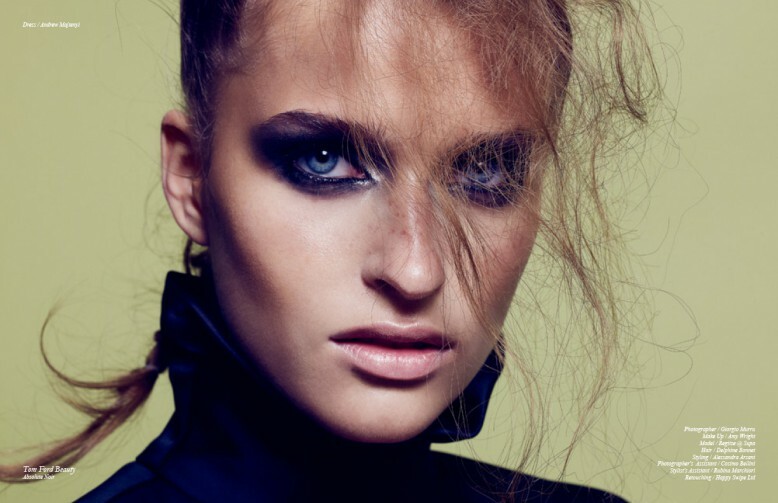 online, this editorial has us enthralled with dark, smokey eyes.